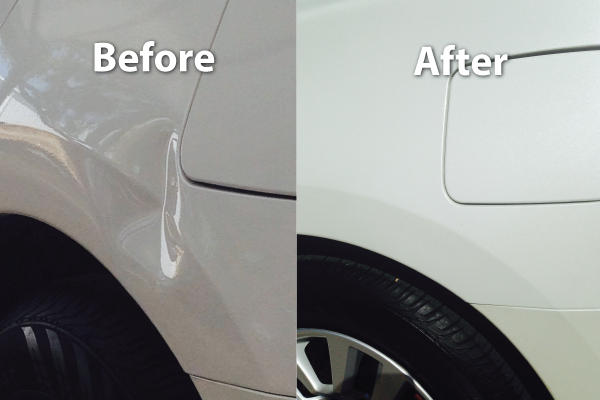 If you’re searching for high-quality paintless dent repair in Lakeway, we can help you out. 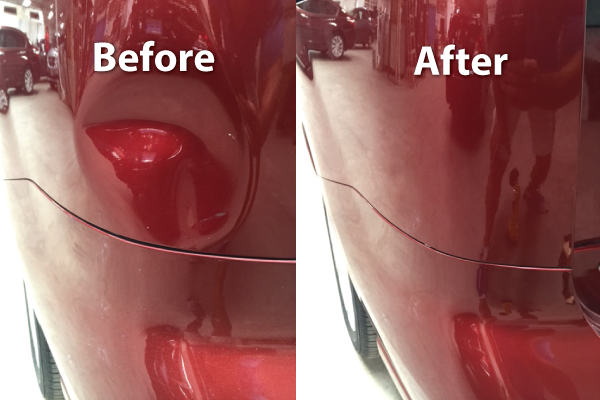 Paintless Dent Repair (PDR) is a technique that’s beneficial for smoothing out small dents on a automobile’s’ body. If a vehicle’s paint surface hasn’t been affected, paintless dent repair can fix a broad range of issues. Because paintless dent repair involves shrinking and metal shaping practices, standard auto body techniques such as painting, body fillers and sanding are totally unnecessary. Vehicle owners frequently rely on paintless dent repair services to take care of dents that were caused by other car doors, extreme weather conditions such as hail, loose supermarket carts, stones, and even fly balls. Paintless dent repair involves going in the back of an auto’s “skin” and pushing the affected panel back into its prior form. As a result, auto techs can handle small dents without affecting the auto’s original paint work. If you’re interested in maintaining your auto’s factory finish, then you should opt for paintless dent repair. The PDR technique is dependable, highly effective and generally doesn’t take up more than an hour of your time. 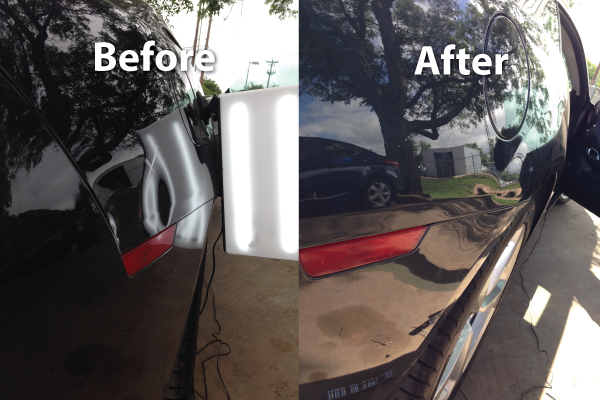 The best part about our Lakeway paintless dent repair service? You don’t have to bring your vehicle to your local body shop. 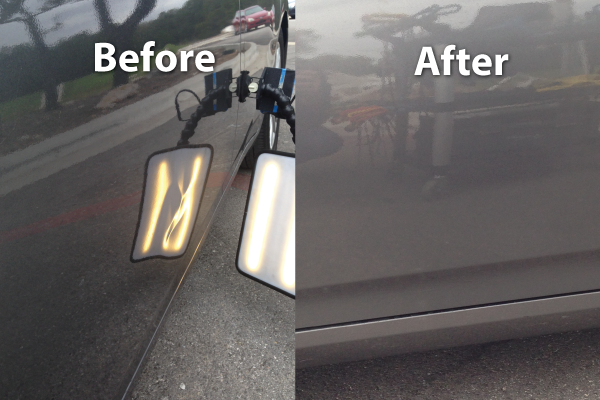 And lastly, our Lakeway paintless dent repair service is often preferred because of cost. Paintless dent removal provides a budget-friendly way to eliminate dents on your car, without the high costs associated with traditional dent repair. If you’re in need of reliable Lakeway paintless dent repair and have been searching for suitable companies all around the Travis County, Texas look no further than Texas Dent Works. Our business is available to provide you with the trustworthy, efficient and effective dent repair service you need. Call Texas Dent Works at (512) 263-3368 now to make an appointment for paintless dent repair service.